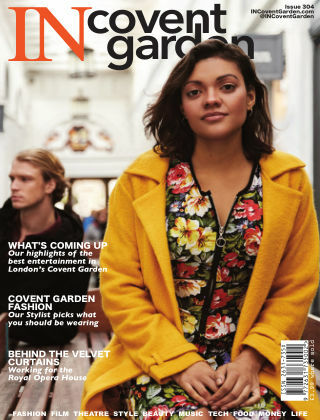 With Readly you can read IN Covent Garden and thousands of other magazines on your tablet and smartphone. Get access to all with just one subscription. New releases and back issues – all included. If you love Covent Garden, you’ll love us! 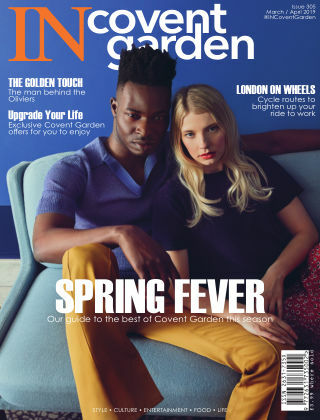 WELCOME to IN Covent Garden – the new look and new name for “In and Around Covent Garden" magazine. Whether you work in, live in, shop in, or just enjoy being in London’s Covent Garden this is for you! Packed with fascinating features and gorgeous images from the worlds of fashion, food, film, health, beauty, theatre and so much more – all centered about and showcasing Covent Garden BRANDS, EXPERIENCES and most importantly PEOPLE – that all add up to make Covent Garden the biggest and best market not just in London, but the United Kingdom too. It’s an unique setting for thriving business and creativity in a vibrant community. Each business or experience is identified on our CENTRAL MAP – if you find something you’re interested in – use the map – to quickly and simply find your way!